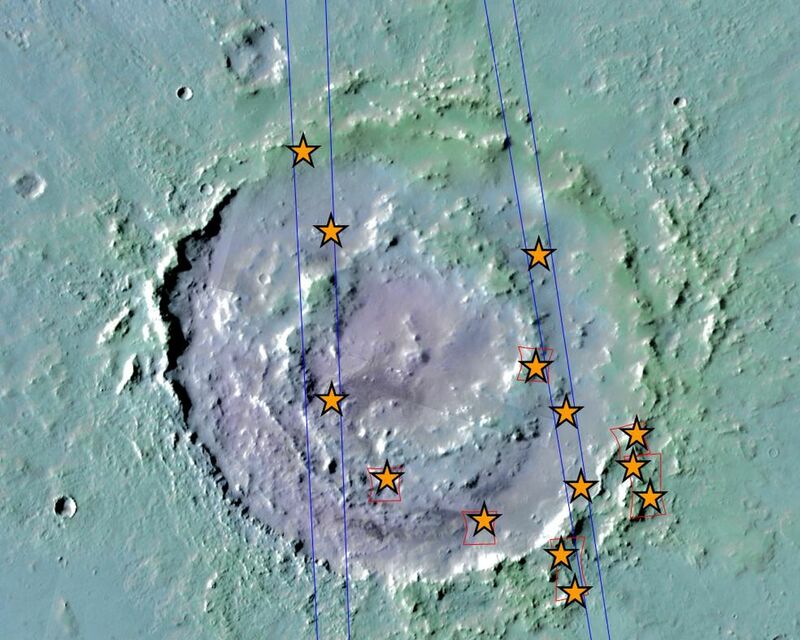 These minerals, including phyllosilicates, have previously been found in thousands of small outcrops in the southern highlands of Mars, but had not previously been identified in the northern lowlands, which cover nearly half of the planet. 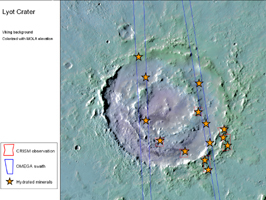 The plentiful outcrops in the south have been interpreted as evidence that early Mars -- about 4 billion years ago -- had wet conditions necessary for producing phyllosilicates and possibly conducive to life. 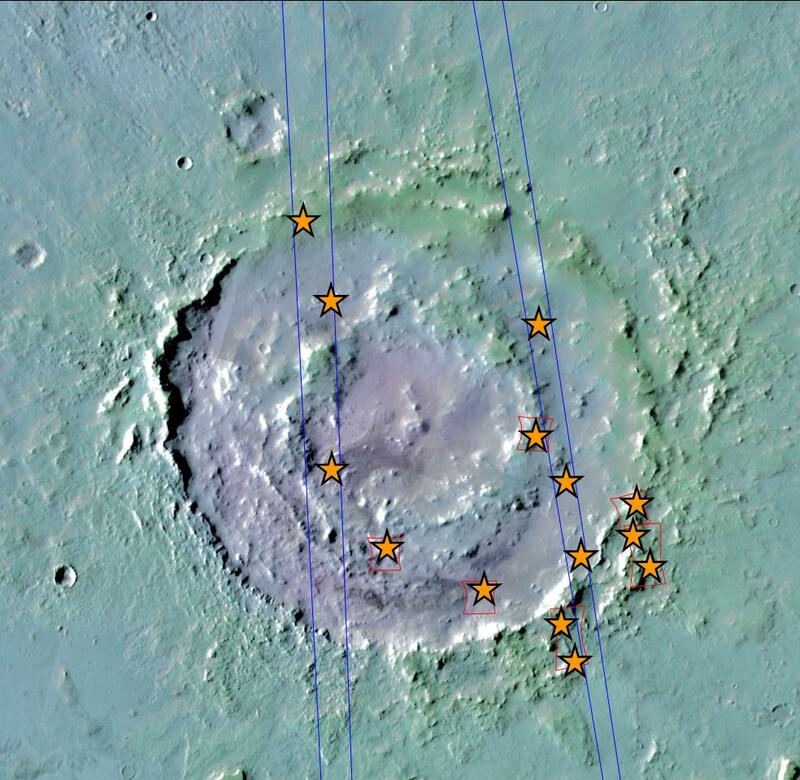 The exposures in some northern craters suggest these minerals are in an older layer underneath the younger surface of northern Mars and are made visible where crater-forming impacts have exposed the underlying material. The new report by John Carter of the University of Paris and co-authors in the journal Science says that the northern finds suggest the ancient, wet conditions extended globally. 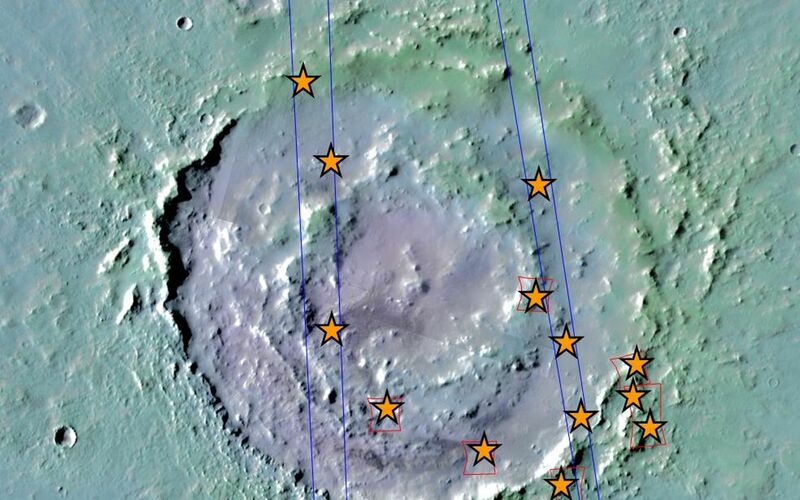 Their report draws upon observations by the Compact Reconnaissance Imaging Spectrometer for Mars (CRISM) aboard NASA's Mars Reconnaissance Orbiter and the OMEGA spectrometer aboard the European Space Agency's Mars Express orbiter. Lyot spans 236 kilometers (147 miles) in diameter, centered at 50.5 degrees north latitude, 29.3 degrees east longitude. 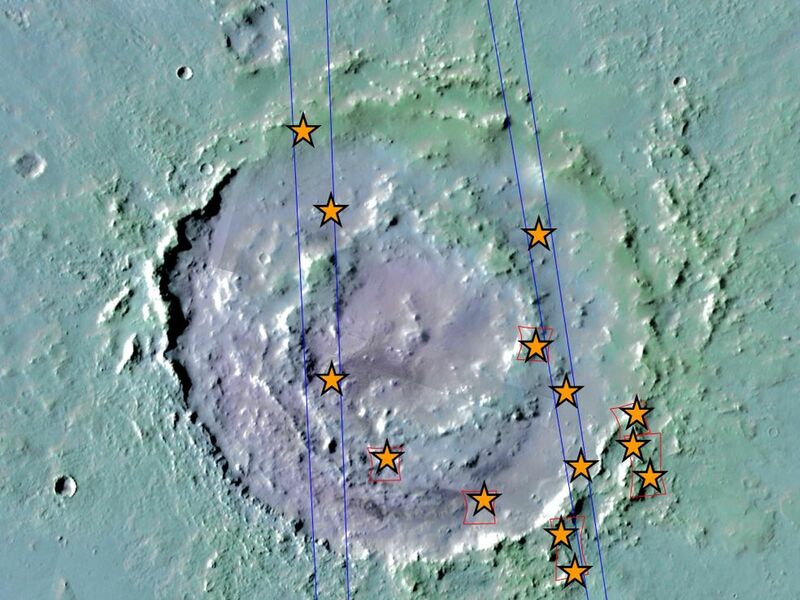 This view of the crater combines mapping by NASA's Project Viking with elevation information from the Mars Orbiter Laser Altimeter instrument on NASA's Mars Global Surveyor orbiter. Annotations in Figure 1 indicate where hydrated minerals have been identified in observations by CRISM and OMEGA. NASA's Jet Propulsion Laboratory, a division of the California Institute of Technology, Pasadena, manages Mars Reconnaissance Orbiter for the NASA Science Mission Directorate, Washington. Lockheed Martin Space Systems, Denver, built the spacecraft. The Johns Hopkins University Applied Physics Laboratory led the effort to build the CRISM instrument and operates CRISM in coordination with an international team of researchers from universities, government and the private sector. The European Space Operations Centre in Darmstadt, Germany, operates the European Space Agency's Mars Express mission. The principal investigator for the OMEGA experiment is at the Institut d'Astrophysique Spatiale, Orsay, France.